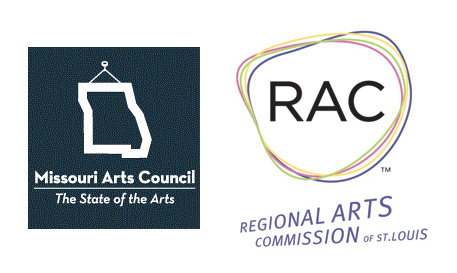 The Missouri Arts Council is the state agency dedicated—as public leader, partner, and catalyst—to broadening the growth, availability, and appreciation of the arts in Missouri and fostering the diversity, vitality, and excellence of Missouri’s communities, economy, and cultural heritage. The grants we award make possible quality arts programming to communities both large and small throughout the state. The Kranzberg Arts Foundation is a community-driven organization dedicated to providing local, emerging artists and community arts organizations the resources and infrastructure necessary for the arts to thrive in St. Louis—because we believe artists and the cultural communities they build represent the heart and soul of our city. 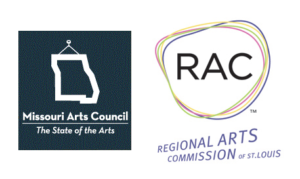 The Regional Arts Commission leads, strengthens and gives voice to a creative community where every citizen can be proud to live, work and play in a world-class region. In short, we are proud of our St. Louis cultural identity and want to do whatever we can to grow, sustain and promote that identity in the future. We are at the forefront of helping transform St. Louis into a more vibrant, creative and economically thriving community through the arts – and want everyone to know just how special the creative community is within the region. The UP Companies is a design and build collaborative composed of four separate entities; POWER UP, SQUARE UP, KEEP UP, and FUEL UP. As one of the region's largest full service minority owned contractual providers, The UP Companies pride ourselves on our ability to provide holistic and convenient solutions for general contractors, owners and facilities management professionals. The Allen P. and Josephine B. Green Foundation is a private foundation with approximately $11 million in assets. The mission of the Foundation can be summed up as “Improving the quality of life in Missouri”. The Foundation accepts grant applications from publicly and privately supported, non-profit [501(c)(3)] organizations whose objectives and programs generally fit within the mission of the Foundation. The Foundation’s Board of Directors consists of eleven members who meet twice a year to award grants and conduct other business essential to the Foundation. The mission of Grice Group Architects is to design tomorrow's architecture today. We combine modern and distinctive design with professional project management. Our broad portfolio of successful projects and accomplishments speaks for itself. From a new design to a complex restoration, you can rest assured that your project is in the right hands. With years of experience and outstanding planning and design expertise, our architects inspire confidence. PEOPLE was founded in early 2014 by Ron Unterreiner, VP Business Development for Rhodey Construction. PEOPLE is a non-funded, non-profit, non-organization established for the primary purpose of introducing the minority contracting community to the majority contracting community. PEOPLE is among other things, a focused networking event allowing minority contractors to mix it up with General Contractors, majority subcontractors, professional organizations and owners and get to know each other and ultimately to work together on meaningful commercial construction projects in the St. Louis marketplace. KAI Design & Build is headquartered in St. Louis, Missouri with offices in Atlanta, Omaha, Dallas and San Antonio. We are a design & build firm performing architecture, engineering, and program management/construction management services nationwide. Founded in 1992, Bond Architects offers one of the most diverse and respected design practices in the region. Located in St. Louis, Missouri, Bond Architects’ seasoned designers, technical architects and collaborative managers lead every effort, providing diverse knowledge and unprecedented service that is vital to the success of every project. The team that begins your project will complete your project. Bond Architects’ personal delivery method ensures management continuity, communication consistency and budget and schedule sensitivity. The American Institute of Architects (AIA) St. Louis is the local chapter of The American Institute of Architects, headquartered in Washington, DC. The AIA represents over 85,000 architects in the United States. AIA St. Louis provides professional growth and development opportunities for its 780 architects and architectural interns members in the Eastern half of Missouri. It is the organized voice of the architect in St. Louis that provides support to members, advocates on issue affecting the profession and public safety and comments on policy regarding the built environment. The Associated General Contractors of Missouri represents commercial building, heavy, highway, industrial, and infrastructure contractors across the state of Missouri. With over 500 member firms, our members perform every type of construction work imaginable, both within Missouri and across the United States. Headquartered in St. Louis, MO, ARCO Construction Co., Inc. is a general contracting firm dedicated to providing clients with the complete design/build package. ARCO aims to make the construction process enjoyable and beneficial and to exceed expectations through successful planning, design & construction. Rhodey Construction is an agile and adaptable construction services firm that prides ourselves on our ability to customize our approach based on a client’s and the project’s unique needs and challenges. Lifetime Roofing and Renovation, LLC, is a locally owned and operated business Servicing St. Louis, St. Charles and surrounding areas. With over 30 years of experience in the industry, we specialize in roofing and gutter installations or repairs for your St. Louis area home and business. We provide St. Louis with the same great quality work that has kept us in business for years because we feel that our customers come first. Call us today for a quote! Perpetua Iron LLC is a decorative iron company. We fabricate iron railing, gates, firescreens, mailbox and signposts, trellises, and interior and exterior furniture. We build anything that can be drawn on paper. We custom design our clients' projects to respond to functional needs and aesthetic interests. We produce original drawings to develop project ideas. S. M. Wilson is a full-service construction management, design/build and general contracting firm with headquarters in St. Louis. Since 1921, S. M. Wilson has built its reputation as a construction services firm that puts people first. Tarlton builds futures for our clients, our team and our community by providing value in a complex environment. We conduct our business with safety, quality, integrity, and enthusiasm. STLNOMA is a non-for-profit chapter of the national organization. Our aim in the St. Louis community is to provide a source of networking for architectural professionals; to promote professional development; to provide mentorship among working professionals and architecture students, to provide guidance to young people exploring the field. Sankofa Culture and Arts Wellness Village is an arts-based, inter-generational network supporting seniors aging-in-place. Keeping North Saint Louis Caffeinated Since 2011. Special dinner served Friday and Saturday afternoons to early evening. You might not be aware that Crown Candy Kitchen is one of St Louis’ oldest and most popular attractions. Crown Candy Kitchen was opened in 1913 by Harry Karandzieff and his best friend Pete Jugaloff. They brought their confectionary skills from Greece, along with a dream of providing a friendly family environment to enjoy their delicious creations. During the early 50’s Harry’s son George took the business over and built the business into what it is today. Now George’s three sons – Andy, Tommy, and Mike run the business with a little help from the 4th generation. Central Print is a non-profit arts organization with a mission to promote the art of letterpress printmaking by providing workshops, classes, and programs focusing on design and production using historic printing equipment. It is our vision to preserve the craft of letterpress printmaking, expand, and modernize its use while building awareness of St. Louis’ historical role in the development and growth of printing. 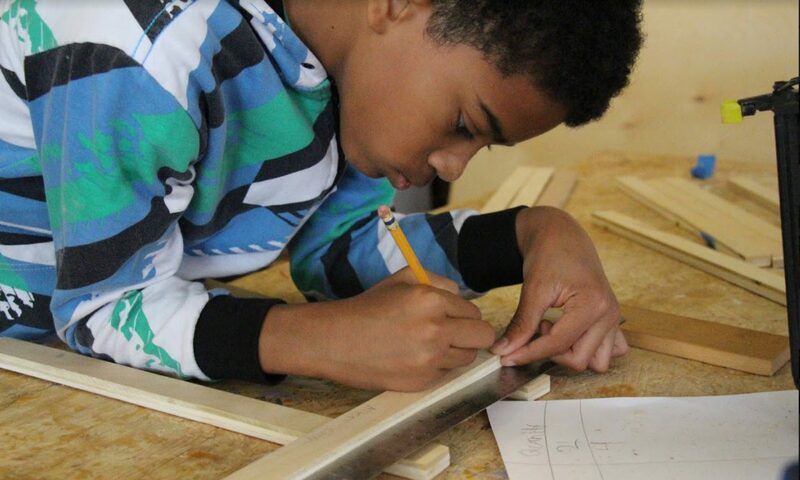 Thank you for supporting Building Futures! Be part of our community, click to donate today.